A bit of a unique edit in today's post which is not my typical style of processing photos. I really liked the textures of the clouds but I had trouble getting the right colors out of the sunrise so I went with a slightly more artistic edit which I think keeps the early morning feel to it and isn't a total black and white edit. This is the Manhattan Bridge across taken from the Brooklyn Bridge. 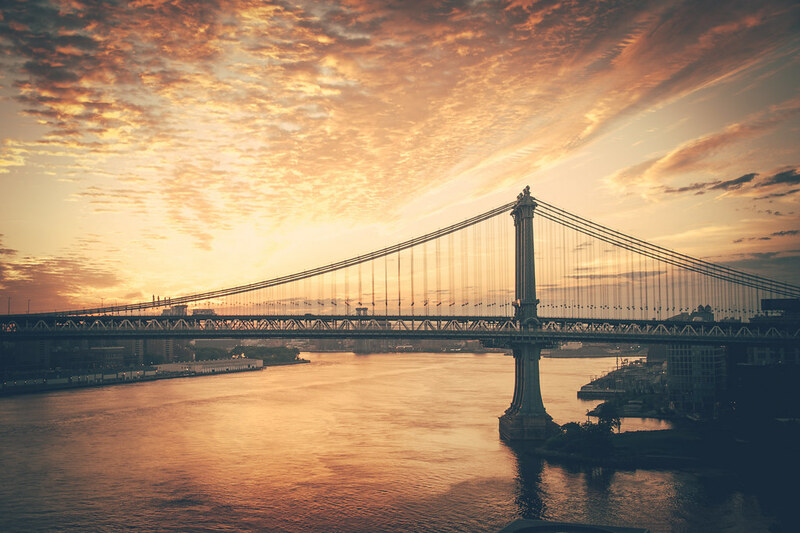 A sunrise shot of the Manhattan Bridge over the East River taken from the Brooklyn Bridge Pedestrian walkway.